An internationally esteemed cell biologist has been appointed the new Executive Dean of the University of Adelaide's Faculty of Sciences. Professor Keith Jones, who is currently Head of Biological Sciences at the University of Southampton in the UK, will join the University of Adelaide in October following a global search for a new Executive Dean. In his new role, Professor Jones will have overall responsibility for Sciences teaching and research at the University's North Terrace, Waite and Roseworthy campuses. Professor Jones, who is known for his research into the biological mechanisms of egg development and changes due to ageing – a leading cause of infertility – will also continue in an active research role, helping to boost the University of Adelaide's already strong international reputation for reproductive biology research. 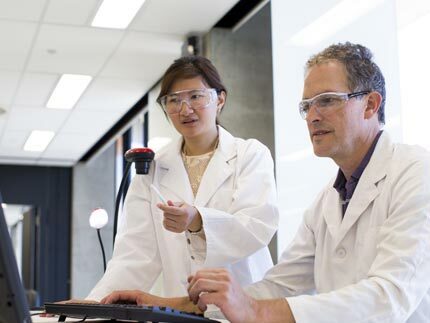 "Professor Jones is committed to science excellence, having led an outstanding 25-year career as an academic and administrator in both the UK and Australia," says Professor Mike Brooks, Provost and Deputy Vice-Chancellor (Research), University of Adelaide. "He has a deep understanding of the Australian tertiary environment, as well as what is required to achieve on a global level. His experience includes leading research groups in the UK and Australia to make important discoveries about the origins of life, as well as practical advances in animal breeding through partnership with industry." 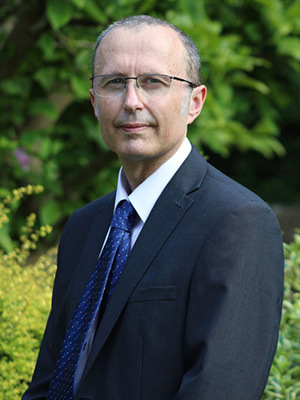 During his time at the University of Southampton, Professor Jones has overseen major improvements in research performance and reputation for the School of Biological Sciences. Undergraduate enrolments have risen by 30%, he has introduced greater flexibility of academic programs, and industry placements to increase graduates' employability. 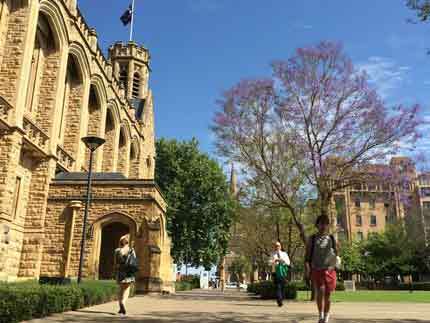 "I'm very much looking forward to my new role at the University of Adelaide," Professor Jones says. 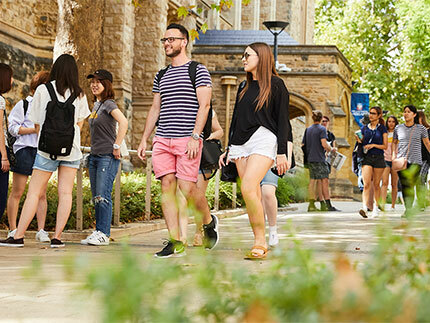 "There are many exciting opportunities at Adelaide, not least of which is being part of the University's energy and vision under the new Vice-Chancellor, Professor Peter Rathjen. There is a great history of excellence at Adelaide, but also an ambition to change. "I look forward to developing a sense of inclusion and diversity in the Faculty – these issues are both very important to me. I also hope, in part through my research background, to foster cross-Faculty and multidisciplinary collaboration. "Being able to continue to work as an active researcher is something I see as critical to my role. In order to really manage well, you need to stay connected in some way to the everyday life of an academic. I prefer to be visible; I'm not the kind of person who likes to be stuck behind a desk," Professor Jones says. Through his work in reproductive biology, Professor Jones has pre-existing research links with the University of Adelaide's Robinson Research Institute, which is focused on the life-time health of children and families. 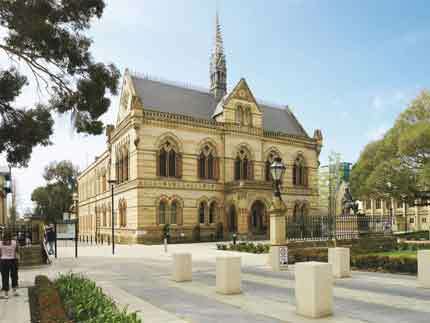 "We are looking forward to having the benefit of Keith's experience and skills in Adelaide, especially to address important research questions on securing health and resilience in Australia's future generations," says Professor Sarah Robertson, Director of the Robinson Research Institute at the University of Adelaide. Professor Jones is a graduate of the University of Leeds (Bachelor Science (Honours)) (1989) and University of Liverpool (PhD in Biochemistry) (1994). His academic appointments have included University College London (1997-1998), Newcastle University in the UK (1998-2008), the University of Newcastle in Australia (2008-2012), and the University of Southampton (2013-2018). He also currently holds a Conjoint Professorship with the Chinese Academy of Sciences and the University of Newcastle. In the UK, he is also a core member of the Biotechnology and Biological Sciences Research Council panel for Genes, Development and STEM approaches to biology. Professor Jones is a past member of the Australian Research Council's College of Experts, and former panel member for Excellence in Research for Australia. He has recently been appointed Editor in Chief of the top international journal Molecular Human Reproduction, and has been an Associate Editor of a number of other journals, including Reproduction, Developmental Biology, and Human Reproduction Update.